ChildAge: 6-12 years. Children under 6 not permitted on tour. 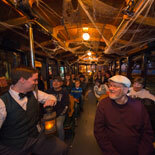 Join your gravedigger guide aboard the "Trolley of the Doomed" for an evening excursion through Savannah's darker side. 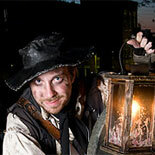 Hear tales of murder and mayhem, stories of ghosts, ghouls and other mysterious happenings. 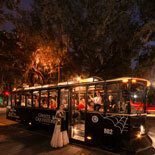 Old Town Trolley Tours invites you to come along on the most popular ghost tour in Savannah, Ghosts & Gravestones! Hear the tales no other guide dare tell as shadows play tricks on your mind. Journey through time with EXCLUSIVE nighttime entry into TWO of Savannah's most haunted venues. FIRST, a stop at the Andrew Low House, THEN on to the Perkin's & Son's Ship Chandlery to truly EXPERIENCE the stories of haunted River Street. Ghosts & Gravestones awaits... When the conductor howls "all aboard!" - Will you be there? Join the Ghosts and Gravestones Tour of Savannah...if you dare! Get your eTicket, board the TROLLEY OF THE DOOMED and hear of all things shadowy and sinister: The city's MYSTERIOUS HISTORY, it's GRAVEST MOMENTS and it's GHASTLY FOLK. And...it's ALL TRUE! The tour departs nightly. Closed Thanksgiving, Christmas Day and St. Patrick's Day Parade (March 17). Tour times vary depending on the time of year. Guests must check in 20 minutes prior to departure. Reservations are required. 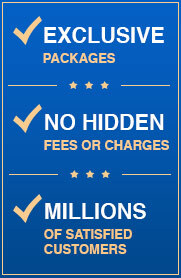 Reservation based tickets are non-refundable. You may reschedule up to 24 hours in advance of tour time by calling 912-233-0083. Andrew Low House and River Street's Perkins and Sons Ship Chandlery. At the Andrew Low House, guests will be able to disembark the trolley and hear tales of this creepy sites while having the option to take some photos. 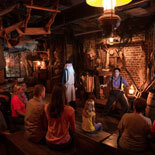 At Perkins and Sons Ship Chandlery, guests will be able to disembark the trolley and hear tales of haunted River Street. 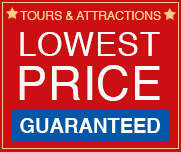 Tour departs from Simply Savannah Trolley Depot located at 301 E. River Street, Savannah, GA 31401. There are two municipal parking lots along River Street and one paid parking lot (which is the one closest to the actual departure point). There is also ample parking on Bay Street which is right above River Street. The tour is rated PG-13 and is not advised for children under the age of 10. Children under the age of 6 are expressly prohibited. A portion of this tour involves walking and climbing stairs, so comfortable shoes and weather appropriate attire is recommended. Assistance animals, such as seeing-eye dogs, are the only animals that are allowed on board the trolleys.